Arthritis is a painful condition which can make doing the most simple, natural things more difficult and choosing to raise a family with this long-term condition may be something that worries some people, but it is entirely possible and you can be just as good a parent as anybody else out there. There may be a lot to think about in addition to the regular child rearing worries and concerns but there are plenty of ways you can minimise the impact of your arthritis on your experience as a parent, as long as you’re prepared. Here we’re looking at some ways you can prepare for parenthood with your condition. It is completely understandable that if you are living with arthritis you may be worried about passing it on and this may affect your decision to have children. These worries need to be kept in perspective and if you need to discuss them with your doctor, then make sure you do. 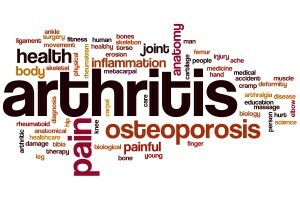 Rheumatoid arthritis can sometimes run in families but it is rare for it to be passed from parent to child and most forms of osteoarthritis do not run in families, although nodal osteoarthritis can be inherited and is a condition which affects the fingers. Every new parent has concerns about how they will need to adapt their lives to accommodate their new arrival and you will be no different. You will need to think through some of the changes in more depth and you may have to accept certain things like not being as active a parent as others, but in reality, all your child will want is your presence and your being there for them and the more open you are with them about your arthritis, the more they will understand and readily accept. Your own wellbeing shouldn’t suffer to the extent that you’re in pain or finding things difficult to manage, when a child arrives. You need to make sure you get enough rest, in any way you can and ways to achieve this include pacing yourself and being ready and happy to accept help when it’s offered. You will also need to get your priorities in order which may mean you do the washing or ironing a little later than usual to spend time with your children. Pacing yourself in every aspect of your life means you can enjoy your experience as a parent and not relate it solely to your experience as someone living with arthritis.